We have heard this so many times before and seems like literally everyone is talking about it. What is Feng Shui? Now there are a few ways of how we can describe Feng Shui or what it is. We can also look at what it does or its benefits or its effects when it is used to unleash its full potential. The simple theoretical approach of describing exactly what Feng Shui is would be the literal dictionary meaning that tells us: It is the ancient art or the practice of creating a harmonious surrounding to enhance the balance of Yin and Yang, to attract a more positive and productive outcome. So we ask ourselves again, what is Feng Shui? Yin and Yang are two forces of energies in the universe. Yin is the passive, negative force and Yang is the active and positive force. The literal translation of Feng is ‘wind’ and Shui is ‘water’. “Feng” is also air, gas, clouds, storms, energy fields and radiation of energy. Furthermore, “Feng” are structures directing the flow of wind, mountains, rocks and buildings. “Shui” is also lakes, rivers, waterfalls, rain, snow, ice, plants and living organisms nourished by water. Wind and water are associated with good health and as a result, positive Feng Shui would mean good fortune and bad Feng Shui would mean misfortune. Unarguably, such an ancient form of scholarly study brings with it a great deal of intense knowledge and this approach has taken its roots in our Western world. Feng Shui looks into the understanding that nature is alive and filled with energy; Chi. 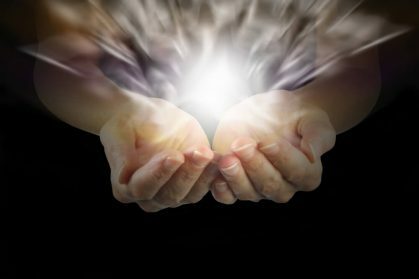 Energy can be used for the benefit of health, mind, body, prosperity and success in layman terminology, to attract good fortune. There are certainly other factors that one should consider to bring about these changes, one has to allow oneself to want to bring these positive changes into their life. The principle of Yin and Yang is one of the core essentials to the art and science of Feng Shui. 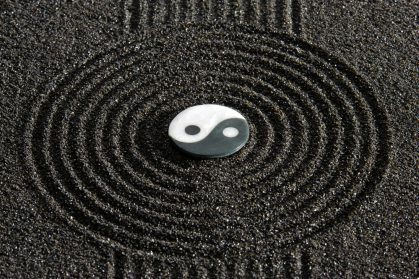 There is a belief that there should be a balance between the Yin (Feminine) and the Yang (Masculine) to help maintain a good positive flow to a successful happy life. One needs to not only look at the balance between the Yin and the Yang, but also the five Feng Shui elements. 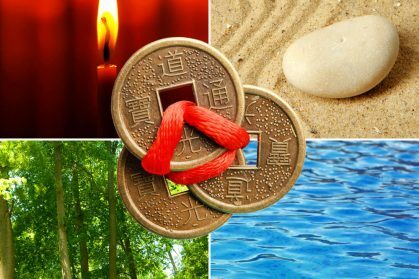 The five elements of Feng Shui are: Earth, Wood, Water, Fire and Metal. 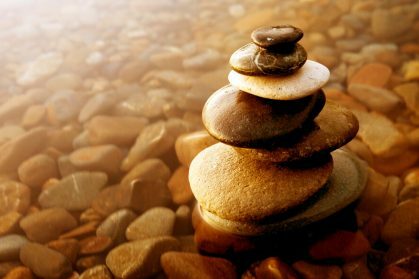 One needs to make sure that all these elements work in perfect harmony and balance, not only to create a peaceful environment, but also a successful and happy one. The perfect mélange for this is to understand, create and harmonize the surroundings by applying the principles of what Feng Shui really is and what it is meant to do for you! This can be achieved by applying the laws of Feng Shui with one’s own personal Chi. What one needs to understand, is that when there is good interaction between the Yin and the Yang energies, then this results in the good Qi (Life) . The good Qi will bring about all the forthcoming positive changes to health, wealth and happiness. There are certainly other factors that one should consider to bring about these changes; one has to allow oneself to want to bring these positive changes into their life. Simply wanting and not taking the necessary action would not achieve anything. The right path is when the energy is aligned well enough that one not only wants, but does everything one can to bring about these changes and to welcome what is needed to bring about the positive Chi in their lives. Taking the right ‘action’ is certainly needed and this can be brought about, beginning with some simple changes. To answer the question of what is Feng Shui and why we should follow this priceless age-old goldmine of knowledge, is to bring about natural harmonious, human interactions to flow better and to attract abundance in every possible way. What Feng Shui does, is that it enables an individual to influence these positive changes by interacting with these energies and elements to achieve those specific, significant improvements in one’s life. Certainly by no means, is it just a ‘trend’. So What Is Feng Shui? These changes can be brought about by rearranging, positioning, designing and bringing about harmony with the principles of natural energy flow. What does Feng Shui do? It also offers a very unique way of not only looking at oneself but also at life, our environment and how to harmoniously bring balance, comfort, peace and abundance. Feng Shui in itself can be described to be a study of the Chi energy and how it flows between nature, the environment and human life. 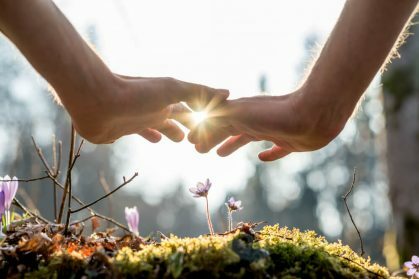 In today’s fast paced networked lives, many have realized and started to reach out to nature and more holistic approaches of treating oneself, to stay in harmony with nature and to bring about peace and positive changes naturally. With these approaches, one realizes that everything on Earth has a purpose and an energy that it transmits and corresponds with the other. There is an energy that flows through this world and through humans. This is what leads to positive or negative emotions, or the way we react in certain situations. When there is an imbalance amongst the interaction then the negativities begin to thrive. 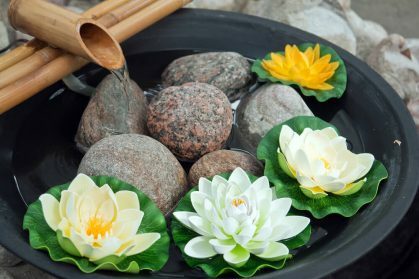 Feng Shui helps us to identify our energy, how to rearrange it harmoniously and how to work most effectively to manifest positivity and attract abundance in every possible way – Overall well-being, peace, happiness and wealth.